Federal, state and local officials attended a ceremony Monday morning to mark the beginning of the Inner Loop redevelopment project in the East End. In September, Rochester City Council unanimously accepted state funding of $4.2 million, the final financial piece for the $21 million project. The $4.2 million was divided equally from among the state Senate, state Assembly and Gov. Andrew Cuomo, city officials said. The project is funded primarily by federal Transportation Investment Generating Economic Recovery discretionary grants. The state is funding the remaining 20 percent. At the Corner of Howell and South Union streets at Rochester’s Inner Loop, officials and developers celebrated the first “filling in” of the Inner Loop at the southeast section of the expressway. 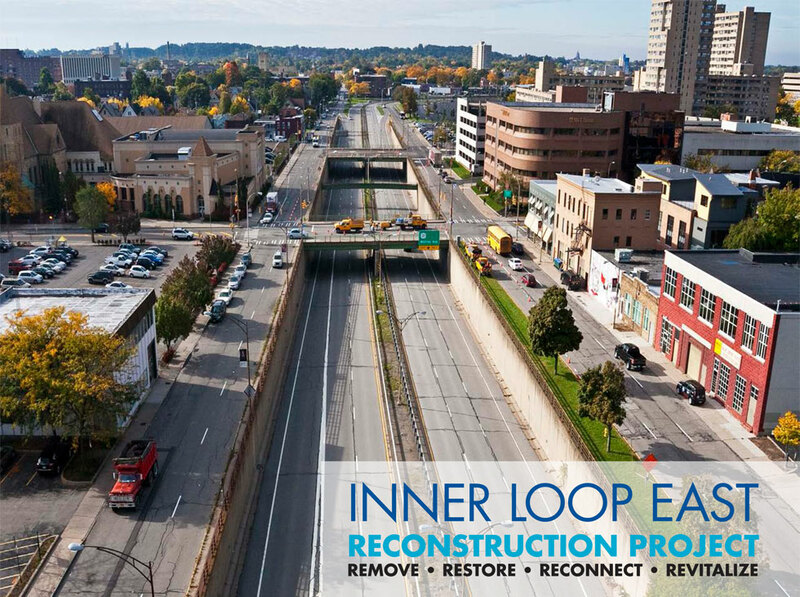 "For more than four decades, the Inner Loop has been a physical and psychological barrier that separated Rochester's residential neighborhoods from the region's center of culture, commerce and government," Mayor Lovely Warren said. "Thankfully, today we are removing a significant portion of that barrier." Construction is to begin Nov. 21. Schumer helped secure the $16.5 million federal transportation grant to fund the project. The project will create up to a thousand local jobs and 230 construction jobs, he said.